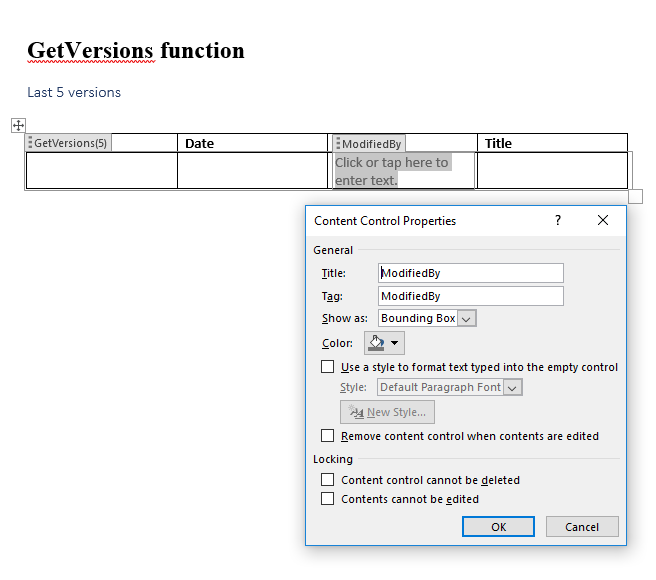 This article describes the formula syntax and usage of the GetVersions function in JungleDocs for Office 365 . Returns a document version list. rowLimit A value that limits the number of retrieved versions (see example). ascendingOrder A Boolean value. Displays versions in the ascending order. imitateNextVersion A Boolean value. Displays the version that will be created after the document is saved and closed. Returns the last 5 document versions. Returns the last 10 major versions in the ascending order. To use GetVersions, you need to create a repeated section first. This is a table with nested content controls that allows multiple items to be inserted into it. 1. Create a table, select the second row and add a content control to it by selecting Rich Text Content Control in the Developer tab. 4. Add more content controls in the remaining cells and save the template. 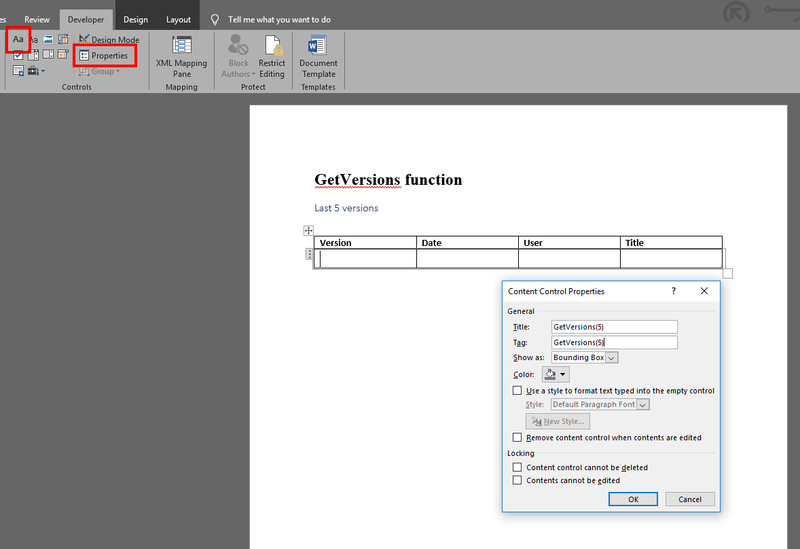 Note: Microsoft Office 2010 has a 64 character limit for the tag field, so it is better to use MS Office 2013 or 2016 to configure templates.